What is new in TKR? 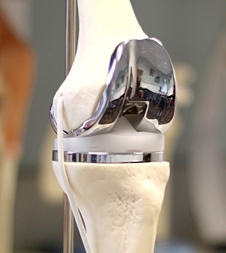 The knee joint is of particular interest to Dr Uttam Garg.He is duly certified in minimally invasive surgery(Through small incision) in total knee replacement. He is performing arthroscopic (“key-hole”) surgery procedures on the knee including cruciate ligament reconstructions. Knee replacement, or knee arthroplasty, is a surgical procedure to replace the weight-bearing surfaces of the knee joint to relieve pain and disability. It is most commonly performed for osteoarthritis and also for other knee diseases such as rheumatoid arthritis and psoriatic arthritis. In patients with severe deformity from advanced rheumatoid arthritis, trauma, or long-standing osteoarthritis, the surgery may be more complicated and carry higher risk. Osteoporosis does not typically cause knee pain, deformity, or inflammation and is not a reason to perform knee replacement.